with a map of the principal Indian trails and towns. 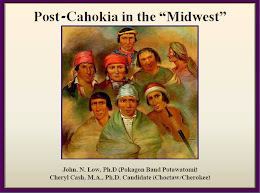 Published by The Ohio State Archaeological and Historical Society. List of Maps showing Distribution of Earthworks, by Counties, V.
List of Counties, Archaeologically Described, V.
Indian Trails and Towns in Ohio, VII. Map Showing Location of Indian Trails and Towns in Ohio, IX. Map Showing Distribution of Earthworks in Ohio, XI. 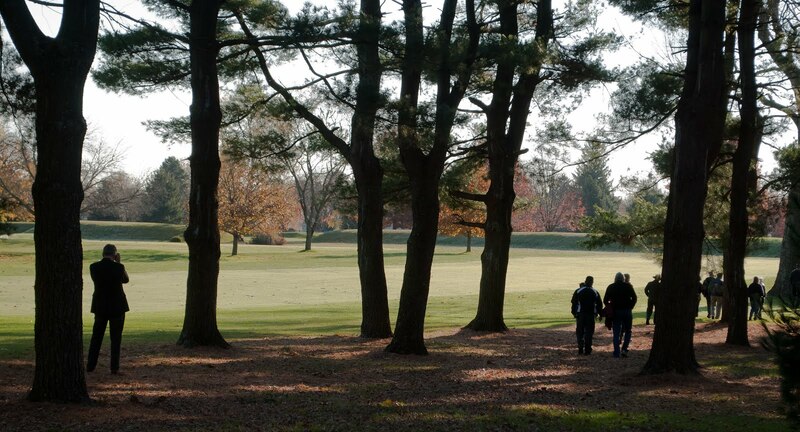 "Licking County is one of the richest counties in the state from an archaeological viewpoint. Its importance lies in several directions. Not only foes it contain the greatest source of material used in the making of... flint implements -Flint Ridge- but also one of the finest examples of the complex type of earthworks, that known as the Newark works.... Thus it is seen that the county contains examples of all important classes of earthworks found in Ohio and is in itself typical of the state as a whole." 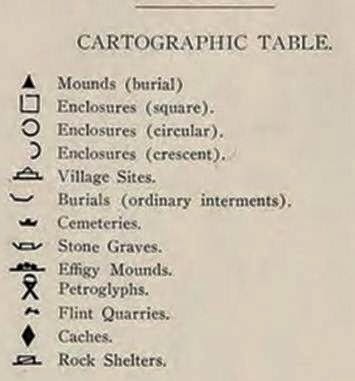 -Archaeological Atlas of Ohio, page 45. *Note: Please remember this source was published in 1914 and as such reflects information and views of its time. "The great "Serpent Mound" of Adams County is in many respects the most remarkable of Ohio's prehistoric monuments, and ranks among the greatest of the world's so-called effigy mounds... Adams county is rich in mounds and earthworks of the... peoples of Ohio, particularly along Brush creek and its tributaries and along the Ohio river." -Archaeological Atlas of Ohio, page 9. 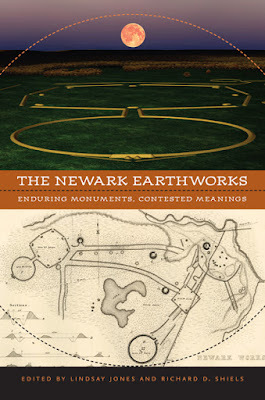 List of previous articles and posts about the Newark Earthworks can be found here.